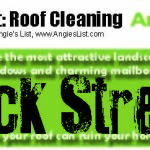 Angie’s list found Angie Hicks recently wrote an article on the need for roof cleaning and how to select a roof cleaning professional. The article has been popping up in newspapers nationwide. Many people are familiar with Angie’s List, so this is a wonderful piece of literature you can use as a marketing tool. 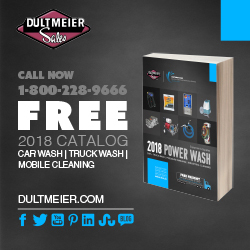 To make it even easier on you, eClean Magazine has taken the article and laid it out in two simple one-page layouts to choose from that you can feel free to print off to give to potential customers and/or post to your website. 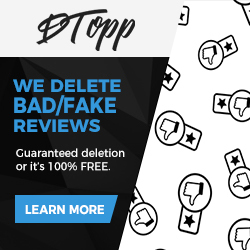 If you find this tool to be a valuable resource for you, let us know and we’ll continue to create tools like this one to help you, our readers, grow your businesses. After all, that’s what eClean is all about! You may have the most attractive landscaping, beautiful windows and charming mailbox, but black streaks running down your roof can ruin your home’s curb appeal. What causes those dark marks, and what can be done to eradicate them? Roof experts who are highly rated by members of Angie’s List say the source is an algae called Gloeocapsa magma. And depending on the age and condition of your roof, cleaning may be the most cost-effective solution, since it’s about 5 to 10 percent of the price of a roof replacement, which can be as much as $10,000. Algae-caused marking isn’t preventable but can be removed, though not always permanently. The algae survive through photosynthesis and by feeding on limestone filler used in asphalt shingles. Black marks became a problem about 20 years ago, when manufacturers began adding limestone granules to add weight to material used to coat shingles. Roof experts tell our researchers that though other components are being added to shingles to hinder algae growth, they still get calls to deal with black marks on relatively new roofs. They say that while shingle manufacturers offer products treated with copper or zinc to inhibit algae growth, their effect wears down over time. Most black streaks form on the northern slopes of roofs, where it’s darker and wetter – ideal for algae growth. Areas of the country with low humidity have fewer instances of roof streaks, while the problem is relatively common in the Southeast, where it’s more humid and warm. The algae appear blue-green when the organisms form an outer coating to protect themselves from ultraviolet rays. Algae turn black when it decays. While the dark streaks are unsightly, experts tell our team that the greatest danger to the roof is from moisture retention or root damage that algae and other life forms can cause. Also, algae and fungus can grow together to form lichen, the roots of which can wrap around and feed on the granules covering the shingles. Once established, lichen is not easily removed. Even if it dries out, it can come back to life with the next rain. Scrubbing or power washing lichen will only cause more damage. Before determining whether having your roof cleaned is the right option, be sure you have a sense of your roof’s age and condition, and compare costs accordingly. A cleaning can cost around $200 to $1,500, depending on the size of the roof, its pitch and height. -Make sure the cleaners don’t use high-pressure washing systems, which can remove granules coating shingles, and lower their life expectancy. -Ask what kind of cleaning solution the company uses. One highly rated roofing expert said he uses a chlorine-based chemical wash with a soaping agent. Also, make sure the company has a plan for preventing possible damage to your home or landscaping from runoff. That same roofing expert said he has one worker apply the cleaner while another saturates nearby areas with water to prevent damage. 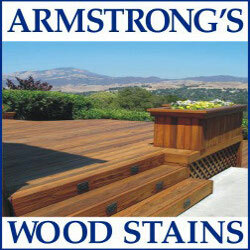 -Ask how long the cleaning method should keep the roof algae-free. A range of two to five years is normal. As with hiring any contractor, ask family and friends for references or check online consumer reviews from a trusted source, get several bids, seek and contact references, and confirm liability and workers’ compensation insurance. And then, prepare to once again enjoy how your home looks without those dark ugly roof streaks.